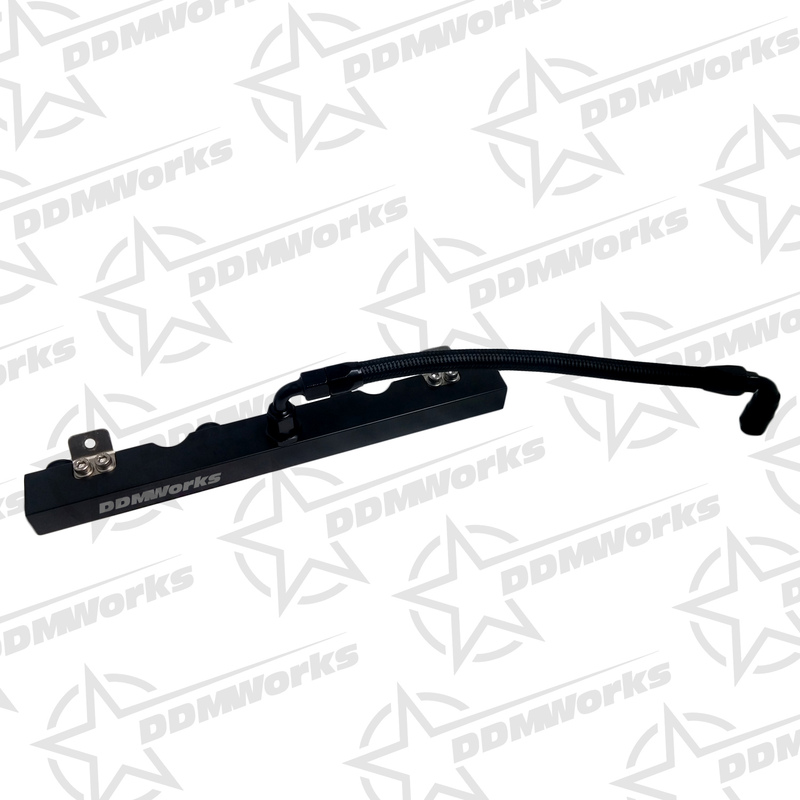 This center feed rail has a larger internal volume than the stock rail to help buffer the pulsations created by the pulsing of the fuel injectors. Also, the rail has a larger internal volume than the stock rail to help buffer the pulsations created by the pulsing of the fuel injectors. When doing forced induction development with the 2.4L ECOTec we started to notice a issue with fueling on the stock fuel rail. The stock fuel rail supplies fuel to the number 4 cylinder first, then down the line to the other cylinders. 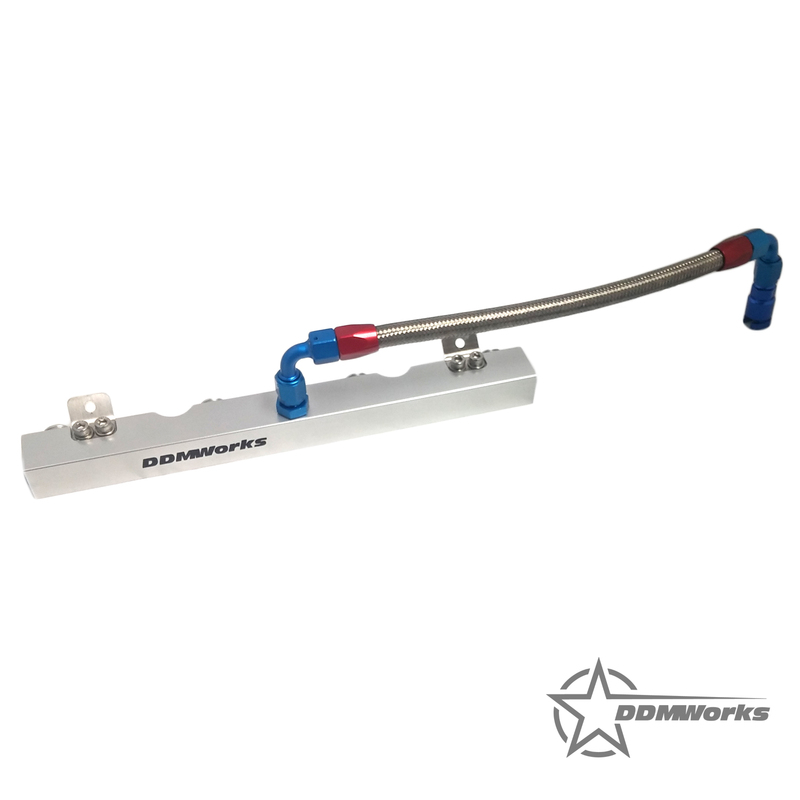 What we developed was our center feed fuel rail that brought the fuel into the center of the rail to keep fuel pressure more constant across the entire fuel rail. Also, the rail has a larger internal volume than the stock rail to help buffer the pulsations created by the pulsing of the fuel injectors. 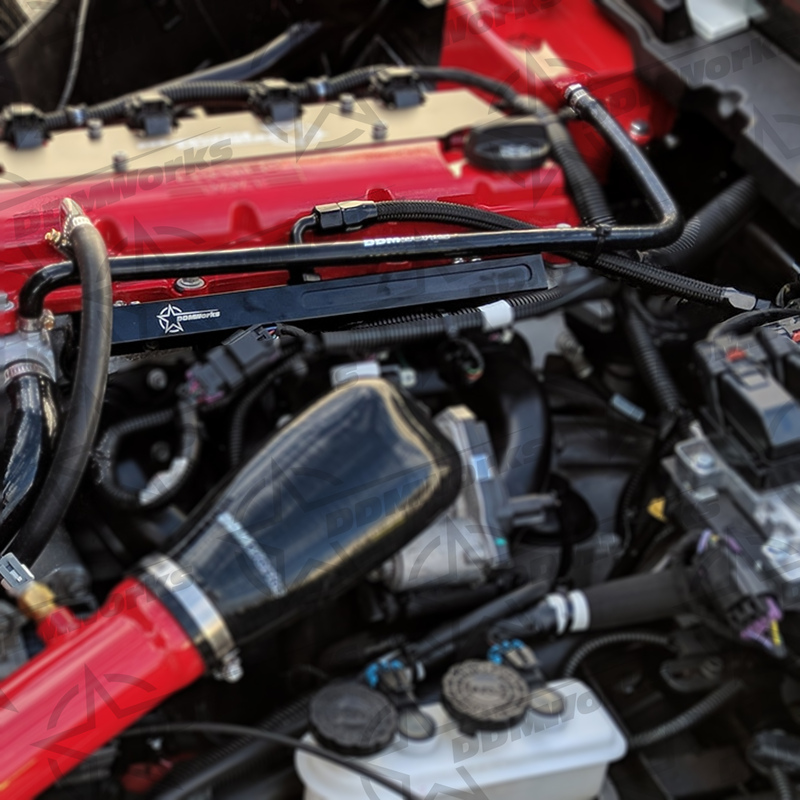 Although the stock rail works well at lower horsepower made by the stock engine, as you increase power especially on boosted applications, you need to flow more fuel and so we came up with the solution to make sure that all of that fuel flows evenly to all of the cylinders. The fuel rail itself starts out as a single billet piece of aluminum which goes through multiple CNC operations to become the new fuel rail. After machining, the rail is then hard black anodized for a beautiful finish and long term protection. Fuel supply gets to the center feed fuel rail via a new custom made stainless steel -6AN line with AN fittings at each end. 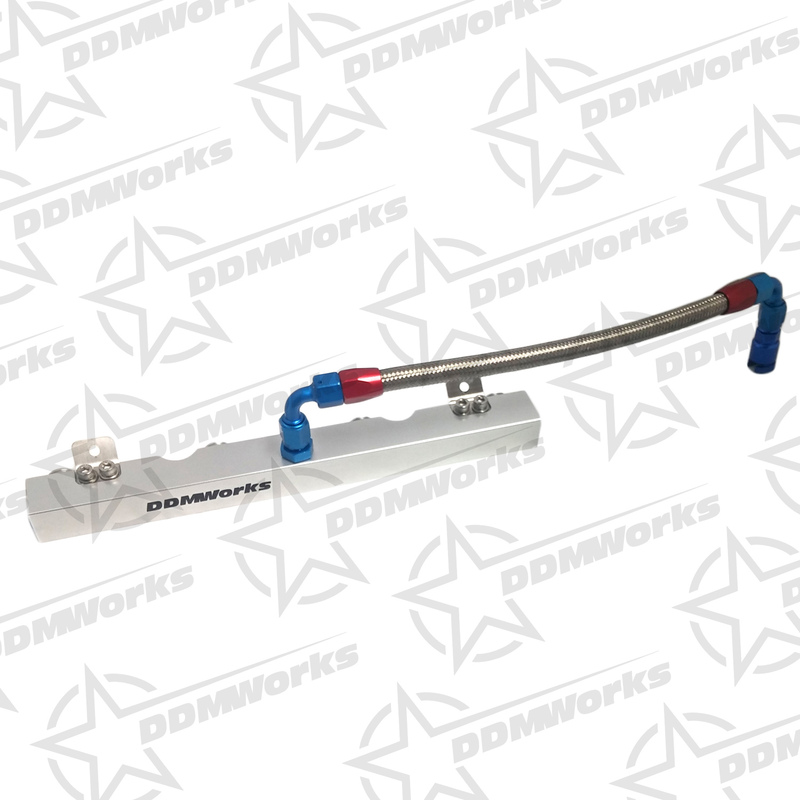 We even include a factory style disconnect that allows you to easily attach it to the stock fuel line, and of course, it looks great on the car!